NEW SQUARE, N.Y. — It began with a voyage from the Holy Land. The visitors arrived from Israel in October at the end of Sukkot, a Jewish holiday during which religious congregations gather for meals, prayer, and dance. They brought with them, inadvertently, a case of measles. One exploded into dozens, and over the past six months, health workers have tracked 156 individuals who contracted the disease — the “vast majority,” officials say, impacting the tight-knit community of at least 50,000 Orthodox Jews here. 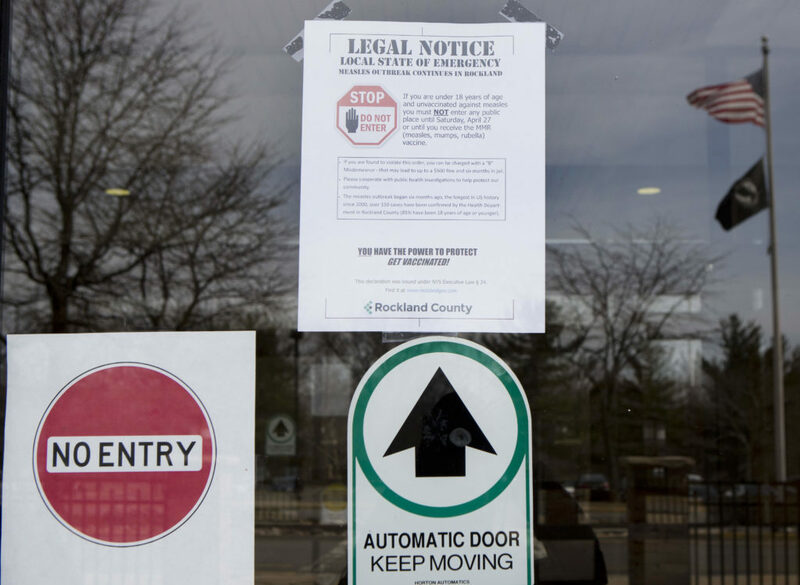 Facing an outbreak that is now among the largest in the country — and the focus of newfound concerns about a national resurgence of the measles — the Rockland County executive this week took a step seemingly without precedent in the United States. Beginning Wednesday, all unvaccinated children were banned from enclosed public spaces, including schools and synagogues, as part of a 30-day state of emergency. Parents found to have violated the directive could be charged with a misdemeanor and face fines or jail time. READ MORE: Exclusive analysis of biotech, pharma, and the life sciences. Many in the Orthodox community, however, worry that the move could only exacerbate a fractured relationship with the local government. In some cases, health inspectors have already been rebuffed by residents; phone calls have gone unreturned, attempts at home visits have been ignored. Despite the severity of the outbreak in their community, some Jewish leaders have bristled at the assertion by some public health officials and in media accounts that Orthodox families vaccinate their children at a lower rate than the general public. They say much of the problem stems less from concerns about vaccines and more from a gap in trust with the local government. 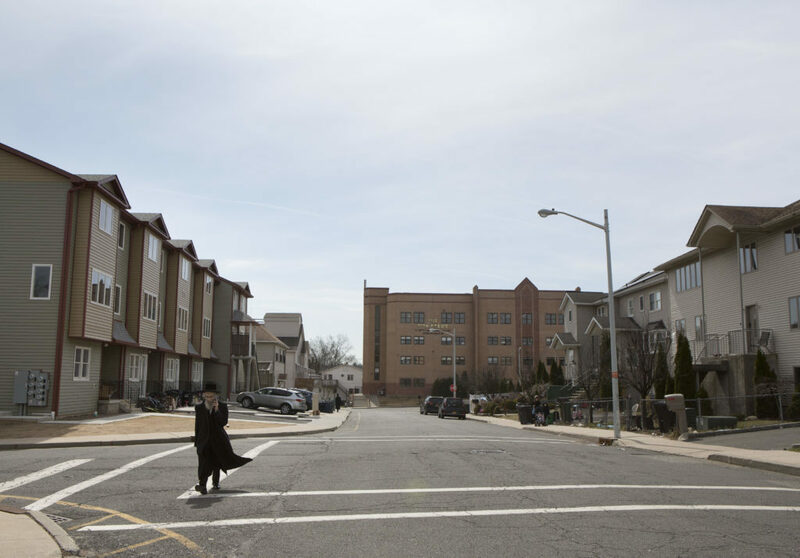 Much of Rockland’s Orthodox community is clustered in areas like New City and Ramapo, where empty lots have given way to new apartment complexes and where synagogues and religious schools appear to outnumber grocery stores. The fast-growing nature of the community has come amid accusations that Rockland County Executive Ed Day is attempting to staunch its expansion — a charge he denies. Regardless, the ban on unvaccinated children in public spaces, community leaders said, will do little to alleviate suspicions. It could also, they fear, mark Orthodox here as a threat, further engendering any feelings of anti-Semitism in the broader community. Day, in a press conference announcing the ban, cited “pockets of resistance” to public-health efforts, without indicating such areas were in Jewish neighborhoods. A meeting to explain the impending action, which Day’s staff called early this week with an informal council of rabbis in traditionally Jewish neighborhoods, was attended by just two rabbis. Still, amid indications that three measles outbreaks in the U.S. have been tied to cases from Israeli travelers recently, Jewish leaders and partner health organizations are trying to get the message out. This week, Refuah flew Dr. Robert Jacobson — a Mayo Clinic pediatrician known for his work overcoming “vaccine hesitancy” — to Rockland County to train its staff. Some Orthodox leaders, meantime, have issued a Hebrew-language notice declaring that religious leaders say it’s mandatory that children be vaccinated against measles. Measles outbreaks are famously difficult to slow, since the virus is adept at finding those most susceptible. Given the public health urgency, local health workers and private clinics have also scrambled to administer nearly 17,000 MMR vaccines against measles, mumps, and rubella since October, more than 4,000 given through Refuah alone. Refuah’s three clinics even developed a triage system for patients who have a fever and who may have measles, meeting them at the front door of clinics to avoid potential exposures. Officials have taken more aggressive action as well, even before this week’s announcement. In December, the county health commissioner issued a ban on unvaccinated children attending schools where the vaccination rate was below 95 percent — applicable only to a pair of predominantly Jewish ZIP codes. Nearly all private Jewish schools had already reached the threshold, Wieder said, and those that fell short came into compliance within weeks. A database compiled by news organizations and current as of the 2013-14 school year showed a large majority of Jewish schools with MMR vaccination rates above 90 percent, but three schools below 70 percent and an additional three below 80. Resistance to that ban came largely from outside the Orthodox community. A group of non-Orthodox parents sued Rockland County, claiming that a ban on unvaccinated children attending the private Green Meadow Waldorf School was unconstitutional. As of the 2013-14 survey, less than half of students there were vaccinated for measles, according to a state website — at one point the lowest of any school in Rockland County. A judge ruled against the parents on March 12, allowing the ban to stand — a relief to some parents in favor of vaccination requirements and worried about their own children. 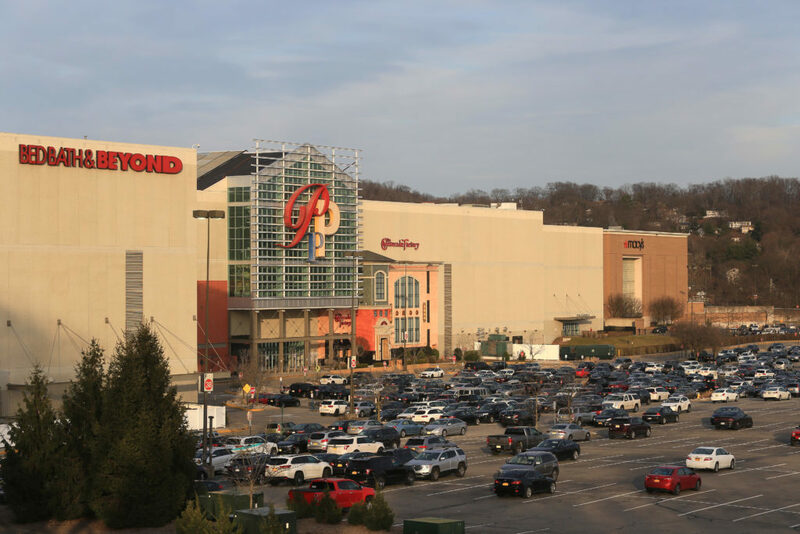 On Thursday, following the expanded ban on unvaccinated children in public places, a small group of protesters opposed to mandatory vaccinations protested next to a children’s carousel at the Palisades Center mall in West Nyack, N.Y. In his announcement the day before, Day cited the mall as a public space in which parents had knowingly brought their unvaccinated children. One woman, who initially gave her name as Stephanie Mahairas but later declined to identify herself to reporters, stood outside a Wendy’s not yet open for business and raised her voice to be heard over an alarm blaring in the background. She identified as a Christian, but claimed to be protesting on behalf of a Jewish community that had been coerced into vaccine compliance. She sported a shirt reading “research before vaccinating,” and admonished those listening to look up the Vaccine Injury Compensation Program. The federal system awards settlements to individuals harmed by vaccines, most often by rare allergic reactions, and paid out over 4,000 settlements in the past 11 years — roughly one per every 1 million vaccine doses administered. Jewish community leaders have acknowledged that, like in many American communities, a small minority of families display hesitancy to vaccinate their children. But Wieder said the community’s advocacy speaks for itself, from the Hebrew proclamation to a video ad he plans to record on Sunday with Chris Day, the town supervisor of nearby Orangetown (and the son of county executive Ed Day). Wieder intends for the video to “go viral,” he said, and it will intersperse Yiddish — the language spoken in many religious Jewish communities here — with English. And the public service announcement serves as a rare moment of full collaboration between non-Orthodox and Orthodox politicians. In one striking instance, Orthodox community leaders made national headlines in 2014 for winning a majority on a local school board, though their children attended private religious schools almost exclusively. Despite the existing divides, much of the outreach has already proven effective. The Rockland County health authorities continue to hold pop-up health clinics, many near Orthodox neighborhoods, and parents around the county have reported crowds at pediatricians’ offices as parents rush to vaccinate their children. At the county health department headquarters, flyers encouraging vaccination and warning of the measles outbreak could be found in Haitian Creole and Spanish as well as English. The focus, however, has remained on the Orthodox community — particularly with Passover, another major Jewish holiday, beginning on April 19. Many in the greater New York area spend time in Israel for religious studies following their teenage years, and travel over the holidays to spend time with their families. Given other outbreaks in nearby Brooklyn and in suburban Detroit also tied to travel from Israel, which itself is battling the spread of measles, Rockland County officials have publicly expressed fear that the local outbreak could accelerate yet again. For the remainder of the ban, Day said parents need not worry about armed sheriff’s deputies checking for proof of vaccination at the monkey bars or at synagogue. The idea, he said, is less active enforcement and more about increasing vaccination totals to prevent an outbreak from further getting out of control. This article is reproduced with permission from STAT. It was first published on March 29, 2019. Find the original story here.